Lavender reminds me of many things. The Victorian era when lavender water and soaps made with lavender were very popular, my grandmother who uses talcum powder perfumed with lavender, the rhyme lavender’s blue (dilly dilly) and my lovely, sweet friend Pernille. 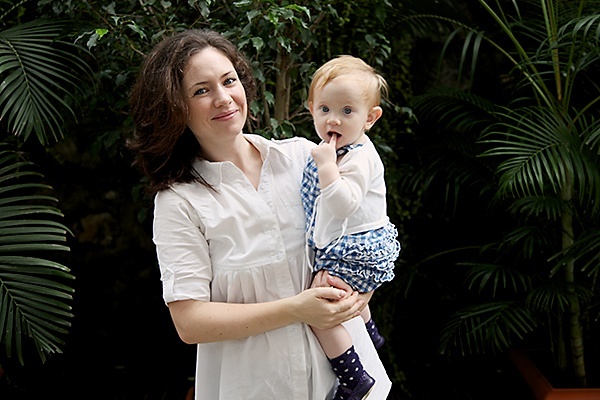 There are times when you meet someone and find an instant connect and it was the same when I met Pernille for the first time. Her endearing nature, simplicity and good persona made me connect with her instantly. And although, we dont meet as often as I would like considering our constraints as parents and the difficult city in which we live, I will always be aware of the fact that she and I will always share a deep friendship that will transcend time, space and distance, as she might relocate to another country in the distant future. And why lavender reminds of this wonderful lady is that my lavender flavoured cookies come from the lavender grown in her mother’s yard in France. And she never forgets to bring me some whenever she visits her mother. If you can’t lay your hands on lavender you could use rosemary maybe, but I’m not a big fan of rosemary in cookies, but if you love rosemary then in all probability you will like rosemary tinged cookies as well. Call them biscuits as one would in England or cookies as one would in the states, they will taste just as gorgeous, but considering the English connection with lavender, I guess calling them biscuits would be a little more appropriate. I baked some with a sprinkling of demerara for an interesting variation. Light, buttery and with an excellent texture, these are great for making and gifting during the holiday season or even for snacking once in a way. 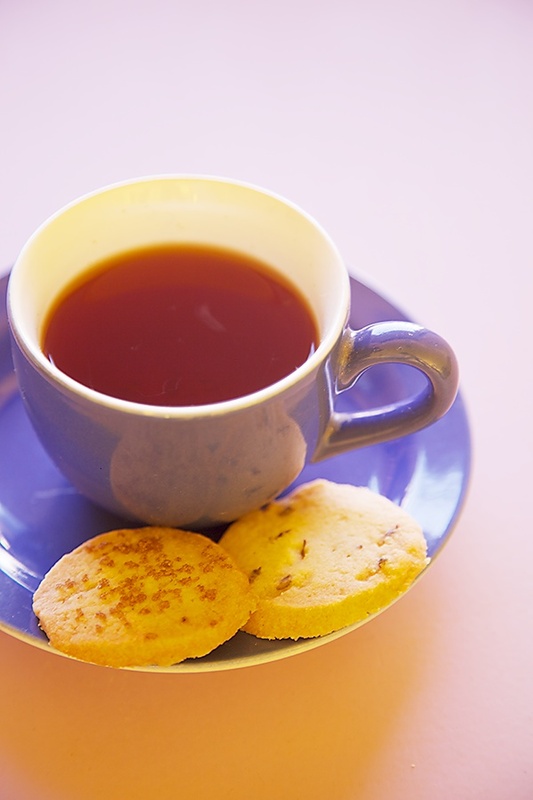 I enjoyed mine with a cup of plain rooibos. Again, you could always replace the plain flour with whole wheat flour or gluten free flours to suit your requirements. You can replace the plain flour with half whole wheat flour or full whole wheat flour or use a mixture of glutenfree flours. If using a non stick baking sheet, lightly grease the trays or line them with baking parchment or greaseproof paper. Pick the bluish purple lavender flowerlets off the stems to measure accurately. In the bowl of a stand mixer, put in the softened butter and the lavender and beat well. Alternatively use a bowl and a spoon to do the same. 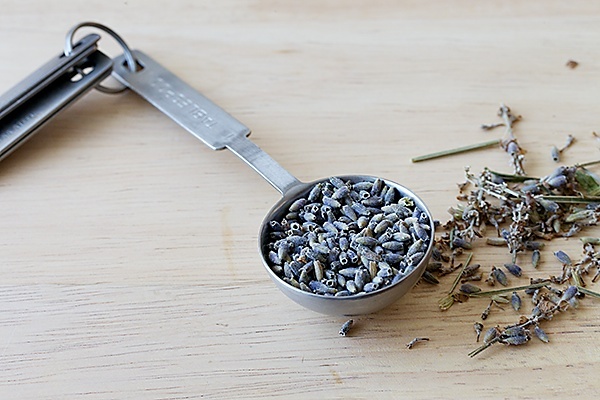 This will help to derive the delicate flavour and aroma of the lavender. Put in the caster sugar and beat until smooth and creamy. In another bowl mix the flour and the cornflour and sieve once to remove lumps if any. Stir in the flour mixture into the butter and bring it together. Knead briefly, just for a minute or two, to make the dough smooth. Do not over knead the mixture if you want a light textured cookie. 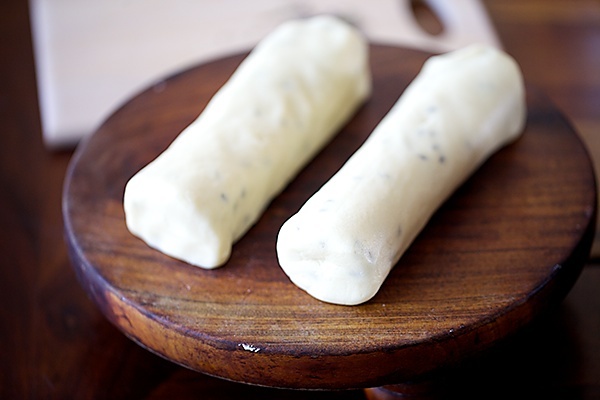 Divide the mixture into two halves and roll them into two logs approximately 7” to 8” (18 cm to 20 cm) in length. Wrap in non stick baking parchment or foil and chill until firm, about 1 to 2 hours in the refrigerator. (I’m guilty of putting it in the freezer for 15 minutes to speed up the process at times). Cut each roll into slices and put them into the prepared baking sheets. Bake for about 20 minutes or until golden brown at the edges. Allow to cool completely and store in an airtight container. *cornstarch is known as cornstarch in the US and is not to be confused with maize flour. Make about 40 to 50 biscuits or cookies. I am a total amateur in baking and this sounds a good one to start with. Could you please recommend which oven would be good. I do not know anything about baking or ovens.I have googled a lot regarding OTGs and gathered some information, but i really believe that an expert opinin, that is your advise would be greatly helpful. I want to bake for my kid who is 4 years old.We are a family of 3.Which Company and size OTG would you recommend..Could you please help.And these cookies just look great and there is no baking soda or baking powder used, so basically just 3 ingredients, unsalted butter,flour and sugar, too good to believe.Could you please suggest me a good oven. Wow.. These look super pretty and awesome.. amazing clicks too!! Hi Anu, where is the corn starch used in this recipe? Sunitha: Your oven choice, would depend on your budget and the kind of baking you want to do. Would you like to go in for a built in oven or an OTG? Also, try and go for a larger capacity, if going in for an OTG, which will help you along the way as you get more and more interested in baking. You could go in for any of the popular brands available in the market these days. Lakshmi: I missed mentioning that. Thanks for pointing it out. Have made the required edits. Anushruti, you are wonderful! Thank you for those beautiful words, the picture (look at Veronika! ), and a delicious recipe I will try in a week in France with sister lavendar from the same garden. So happy to have you in my life! Iam not planning to but a builtin oven.Could you please suggest a normal OTG. Which brand do you use?I would like to use the same brand as you use, so that the temperature settings and all that would be fine, i mean whatever is mentioned in the recipe. 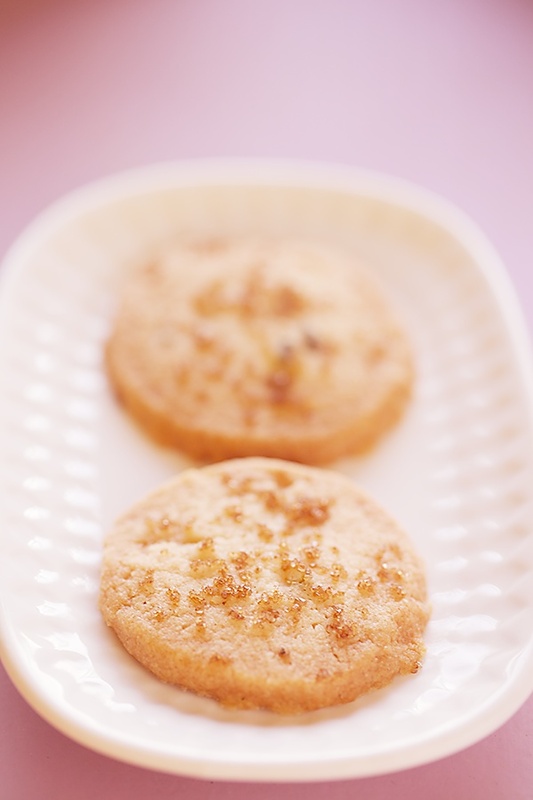 renu: This recipe does not require baking powder and they are buttery and crisp. Sunitha: The one question that I get asked the most. 🙂 I use a Siemens built in oven. Something like thishttp://www.siemens-home.com/in/products/cooking-appliances/ovens/ovens.html but I also have a Bajaj OTG and I can get equally good results with Murphy Richards too. Go for any good brand in the market. Stick to the basics of baking and a good recipe and you will be good to go! All the best! Ranjana: You can try amazon.in and look for lavender seeds. Or ask for it for anyone coming from Europe. Hi Anu, I made these biscuits today and I can safely say that these are the very best biscuits I've ever made . Infact I had asked my cousin to bring culinary lavender from the US just to make these biscuits. This was a big hit at home . 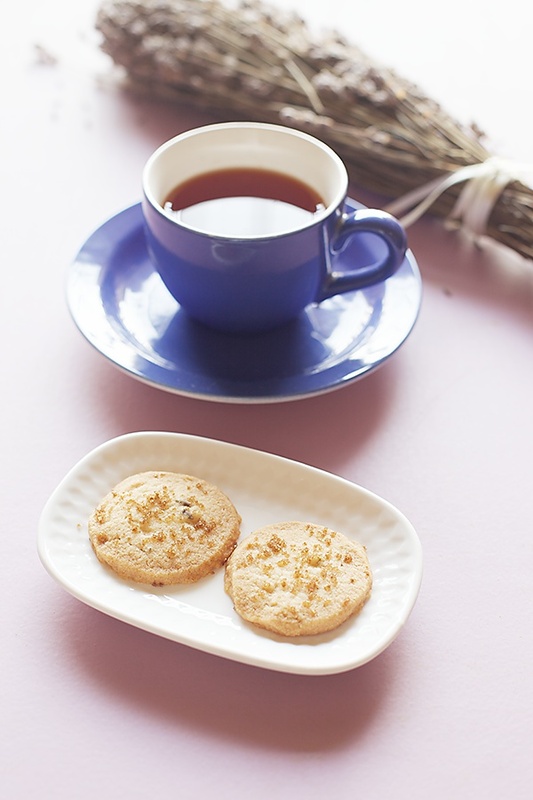 I loved the subtle hint of lavender which lends such an exotic taste to these biscuits. Radhika: Awesome! 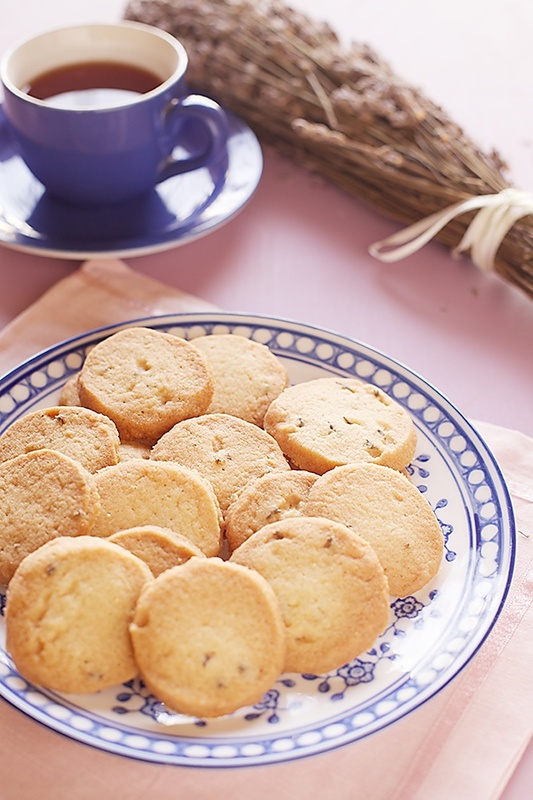 Happy to hear that these biscuits were a success in your home! Love your recipes! Esp the cakes are truly divine! I he no problem with them, but cookies are a different story! I have tried this a few times but they always come out burnt! What are the thickness of the slice? dipa- You need to bake the cookies until they are lightly golden brown at the edges. Ovens are different, so keep watching your cookies, bake them at the right temperature and take them out at the right time.